Sherlock Holmes (Ian McKellen) is getting old. His mind starts failing him, but he knows that he still has one last open case that he wants to finish. So from his quite farmhouse, where he lives with the housekeeper Ms Munro (Laura Linney) and her son Roger (Milo Parker), he tries to comb his memory for the clues he missed back then. Curious Roger meanwhile manages to become a kind of confidant for Sherlock as they tend to the bees together and Sherlock tells him everything he remembers about the case. 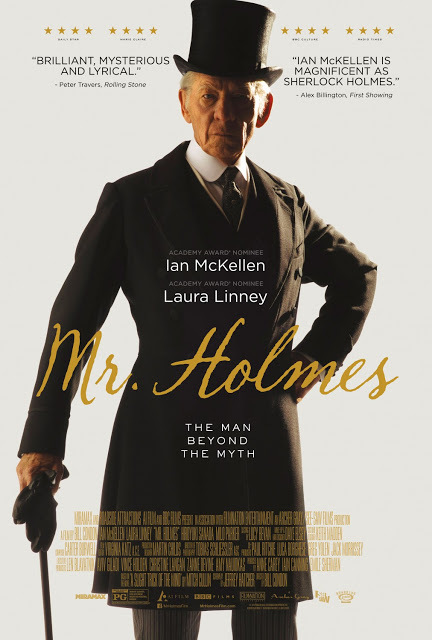 Mr Holmes wasn’t bad, exactly, but it was pretty boring and rather sexist, so the good parts of the film didn’t really work out for me either. Olivia (Olivia Corsini) and Serge (Serge Nicolai) are expecting a baby. They are both actors/dancers and are currently preparing Chekhov’s Seagull. Olivia wants to finish the project and go on tour which should be just finished before the baby is due. But then complications arise and Olivia is forced to stay at home while Serge continues to work, leading to quite some tension. 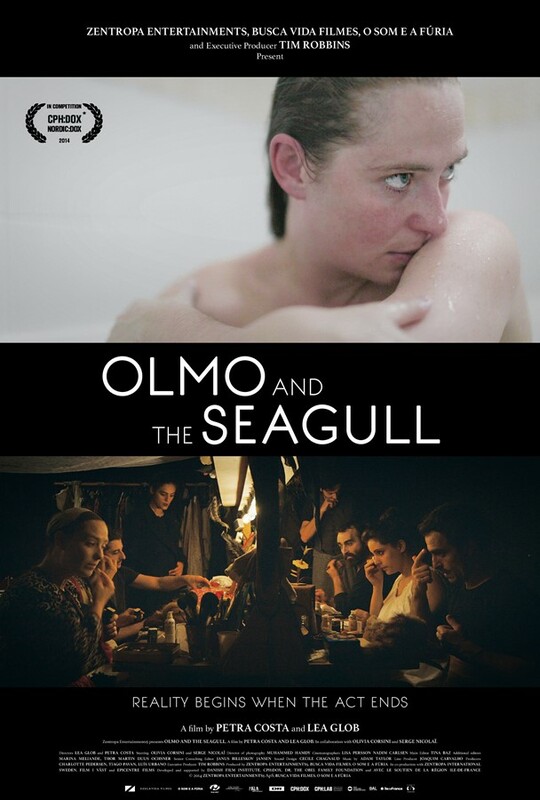 Olmo and the Seagull tackles an interesting subject in an interesting way but ultimately despite its best attempts, it doesn’t really manage to get under the surface of things, outside of a few moments. Fangirl is a novel by Rainbow Rowell. Cath and her twin sister Wren are freshmen in college, something Cath has been dreading for quite a while: ever since Wren told her that she didn’t want to be roommates with her in their dorm. Socially awkward Cath is at a loss. While Wren adjust easily to college life, especially the parties, Cath withdraws more and more into the fan fiction she’s writing about Simon Snow, the boy magician, and his vampire roommate Baz Pitch (a fic she used to write with Wren). But her roommate Reagan can’t watch this and starts to drag Cath out of her shell, aided by her best friend Levi whose easy-going and accessible nature helps considerably. 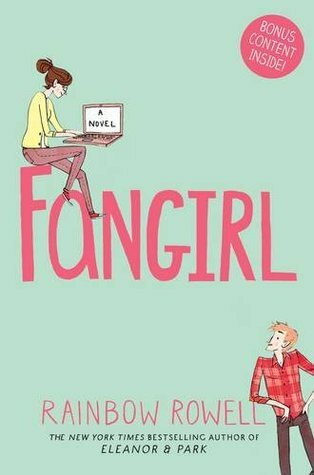 Fangirl is not only a sweet, captivating coming of age story, it’s also an accurate portrayal of fan culture as I know it – which is very rare. I blazed through it (as high velocity is apparently the only speed I can read Rainbow Rowell novels at) and I loved it. Dom (Dominique Leborne) is trying his best to keep the family together. In this case family means him and his two teenaged children Matteo (Matteo Leborne) and Mailys (Mailys Leborne). But life isn’t exactly easy. Dom dreams of having his own boat for fishing, meanwhile he is stuck on other people’s ships, spending weeks at a time without seeing land or his kids. Then he finds out that Mailys is pregnant and it throws both of them. Maybe Dom has to give up his dream of the sea and stay with Mailys and Matteo. 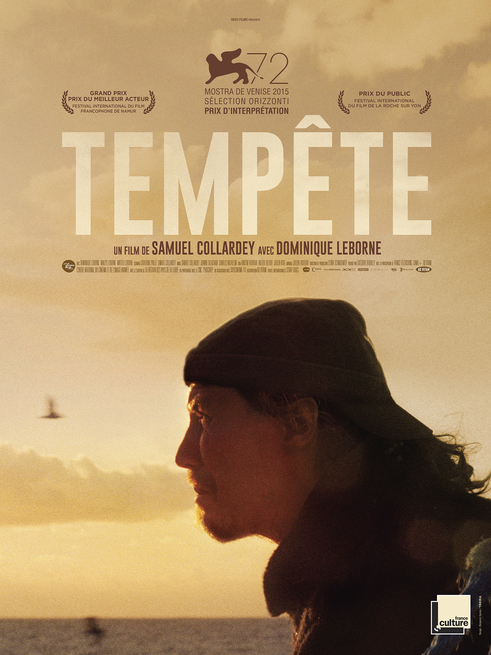 Tempête’s setting is unusual and shows unusual people (whose normalcy is what makes them unusual in the first place. That’s the film’s major strength. Unfortunately other than that it just didn’t manage to make me enthusiastic. I liked it and it certainly wasn’t bad, but it never outperforms “nice”. At the beginning of the 40s, the Russians occupied Estonia and deported many people to Siberia without warning. Among those people were Erna (Laura Peterson), her husband Heldur (Tarmo Song) and their daughter Eliide (Mirt Preegel). Taken from their home and stuffed into cattle waggons, Erna and Eliide get separated from Heldur. Despite all the hardships they have to go through, Erna never stops writing letters to Heldur. 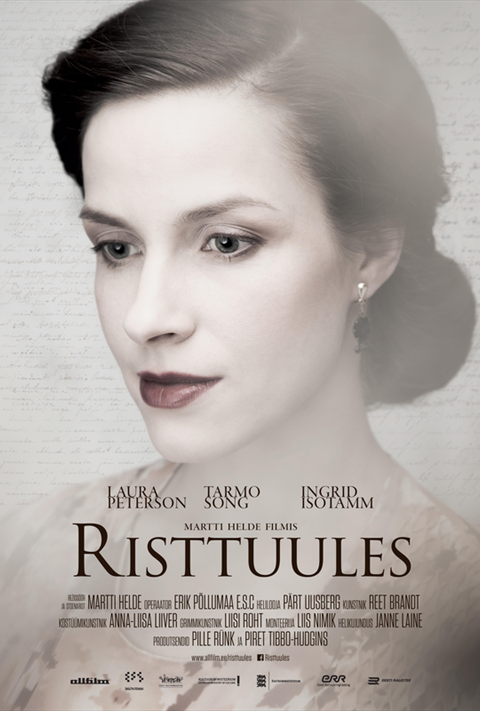 I don’t know if you remember this short film from a few years ago, but Risttuules was basically shot in the same style, only less action-y. Taking the real letters from Erna Tamm as a basis and a voice-over, the film is made up of more or less stationary shots the camera slowly moves through. That is a gimmicky way to shoot a film, but for me the gimmick never took over the film. Instead it’s an emotional film about a difficult, harrowing topic that manages to also be aesthetically pleasing. 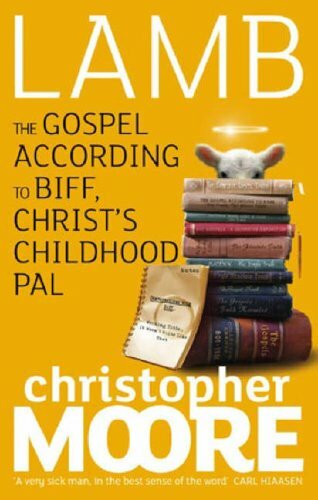 Lamb: The Gospel According to Biff, Christ’s Childhood Pal is a novel by Christopher Moore. The angel Raziel gets a new mission: he is to resurrect Biff so that he can write a new gospel. Biff was Jesus’ – or actually Joshua’s as he was known back then – best friend and is supposed to fill in the gaps. Raziel locks himself into a hotel room with Biff who is given the gift of tongues and starts to write (after punching Raziel first though – he just doesn’t like that guy). But Biff’s Joshua is quite different from what we know and his childhood and youth may very well surprise you. Moore (and/or his publisher) was apparently very worried that Lamb would offend (religious) people – there are several reassuring statements in that regard. Personally I think that they don’t have anything to worry about, but then I’m also a heathen atheist and basically a personified offense, so I’m probably not the best judge. Be that as it may, I would have liked it if they had taken less care with offending or not offending people and instead had focussed on whether or not the book actually works because for me, it didn’t really. Miguel (Andrés Gertrúdix) is a filmmaker who got stuck on his sophomore feature after a rather successful debut. He returns to his hometown with a camera, not for his own project but instead as a location scout for somebody else’s film. He looks up his old friend, but only finds her sister Paula (Diana Gómez) and meets Alicia (Itsaso Arana) at a party, a nurse and the only person without artistic aspirations in the circle of friends. Together they decide to look up Paula’s sister Monica (Marta Pazos) and her boyfriend Bruno (Hugo Torres) as Miguel’s attempts to work become increasingly aimless. 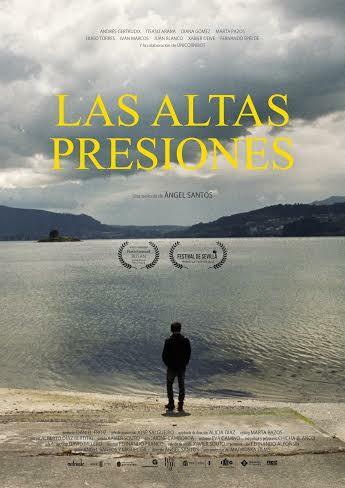 Every once in a while, Las altas presiones has some very nice imagery and great locations. But there was only one scene in it that I actually enjoyed, so that’s pretty much all the positive remarks I can make. John (Ulrik Munther) just spent two years in juvie. After his release he not only comes home to his father Martin (Mats Blomgren) and brother Filip (Alexander Nordgren), but also to his school to try and finish his last year there. But getting back into his old life is hard, if not impossible. John’s crime still resonates through the community and the only one who gets closer to him again is Malin (Loa Ek) who only recently moved to town and only ever heard rumors about John. Efterskalv tells a touching story about an extremely difficult topic in a very sensitive manner. I was very much impressed by it. Charlie Brown (Noah Schnapp) is clumsy and doesn’t seem to ever get things right. When The Little Red-Haired Girl (Francesca Capaldi) moves to his neighborhood, he falls in love and fears that he won’t make a good impression. Lucy (Hadley Belle Miller) tells him that he should just be a winner. So Charlie sets himself new challenges, although they don’t exactly go very well for him. Meanwhile his dog Snoopy has found a typewriter and has started to write a novel featuring himself and the daring pilot Fifi (Kristin Chenoweth). I was never what you’d consider a Peanuts expert, though I did always have a soft spot for Woodstock and Snoopy and have read quite a few comic strips about them. 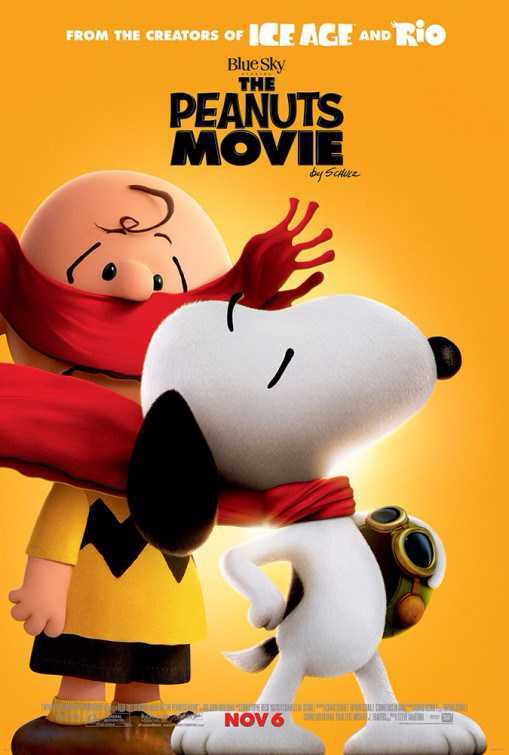 That being said, I believe that The Peanuts Movie is pretty faithful to the old Peanuts stuff. Sometimes maybe a little too much so. When Rudolf Abel (Mark Rylance) gets arrested for being a Russian spy in the USA, the FBI want to make really sure that his conviction sticks. So they ask lawyer James B. Donovan (Tom Hanks) to defend Abel. Donovan is well known for being scrupulous and correct. Even though Donovan knows how much hatred will come his way if he defends a known spy, he accepts Abel as a client. A decision that has far-reaching consequences as it leads to Donovan being asked to handle the negotiations about the release of an USAmerican soldier who was captured by the Russians. 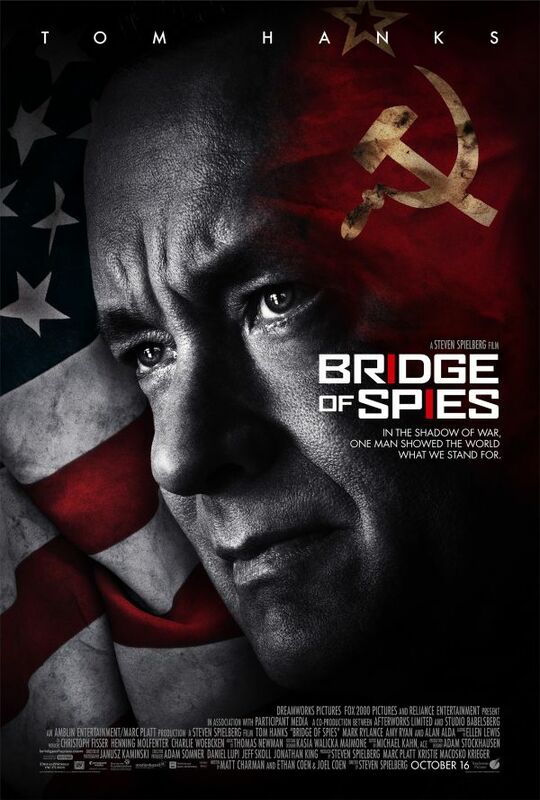 It fells like Bridge of Spies went almost completely unnoticed, despite the fact that it’s the newest Spielberg film with Tom Hanks. There was barely any marketing and nobody seemed to show much interest in the film at all. I myself almost didn’t watch it. This obscurity (well, obscurity for a Spielberg movie) is a fate the film certainly doesn’t deserve.